Slide books and catalog from NMSU exhibition, Of Water and the River Meditations on the Rio Grande, Pori Museum Installation, Finland, 2009. 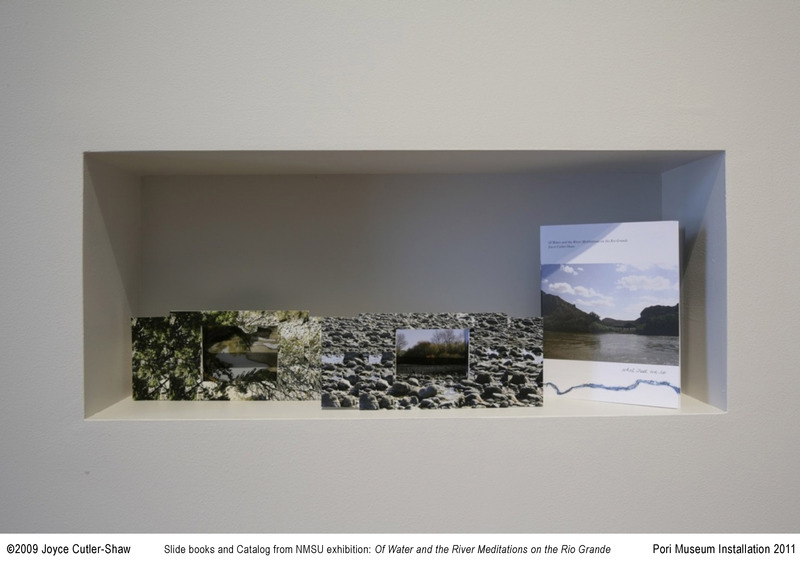 Installations of three artist books from Of Water and the River: Meditations on the Rio Grande for the EcoArt Exhibtion at Pori Museum, Finland, 2011. 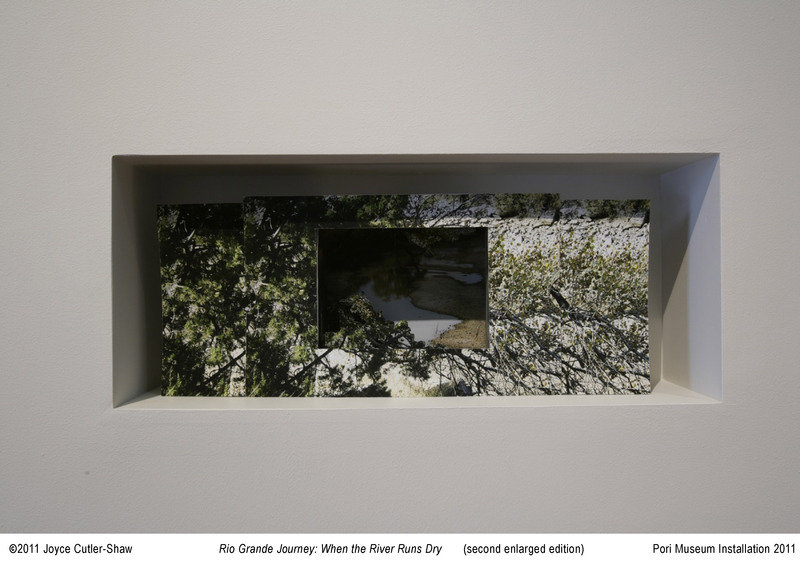 Rio Grande Journey: When the River Runs Dry (second enlarged edition), Of Water and the River Meditations on the Rio Grande, Pori Museum Installation, Finland, 2009. 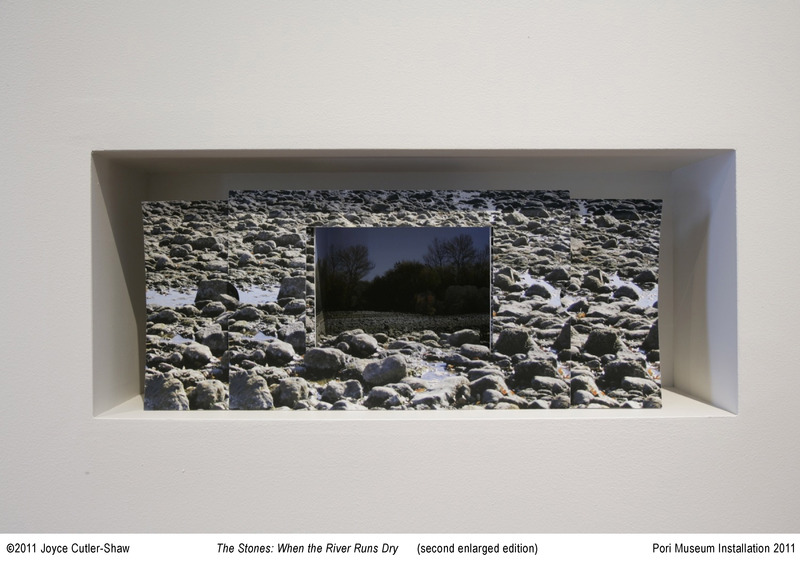 The Stones: When the River Runs Dry (second enlarged edition), Slide books and catalog from NMSU exhibition, Of Water and the River Meditations on the Rio Grande, Pori Museum Installation, 2009. This EcoArt Exhibition is comprised of contemporary artists and artist collaborations in the fields of environmental and ecological art. The show is intended to awaken interest in the outdoor environmental art phenomenon indoors at a museum site. The Pori Art Museum has a long history of exhibitions that reveal strong commitment to the art/nature dialogue. 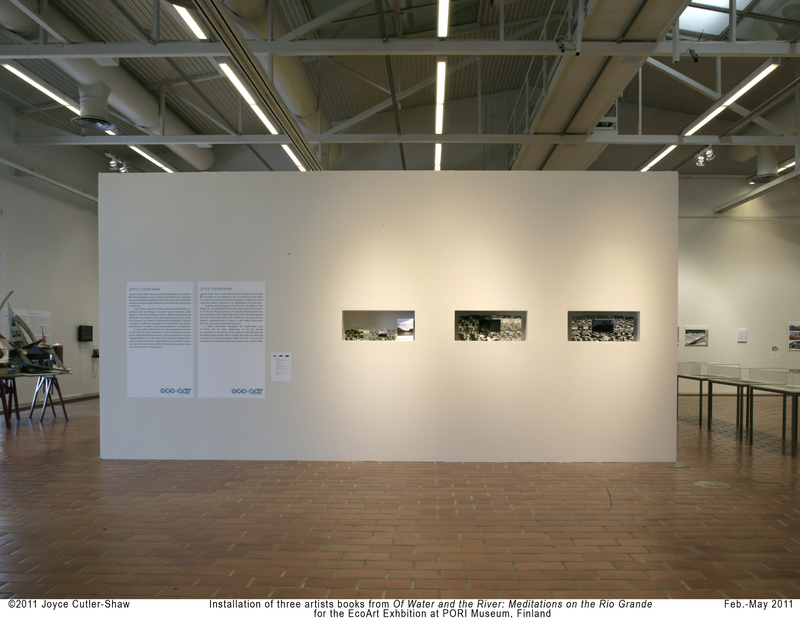 The exhibition was curated by John K. Grande, Peter Selz and Pia Hovi-Assad.